Hydra-LG External Fan Discounts Apply ! 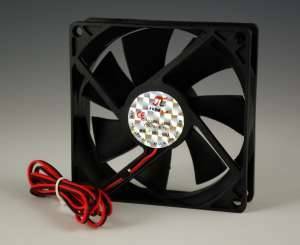 This fan can be attached to the Hydra LG unit for additional air circulation. The Hydra LG can operate three external fans in total. Only 2 of these fans are needed to completely fill the fan ports. This fan requires the Hydra Fan Kit sold above. Fan measures 3 5/8" square with a fan size of 3 1/2"